Blogger Vent Corner: The Quandary of Slow Publishers & Imminent Archival Dates: Why the Archival Vault needs to go? Every Saturday, we will be having a vent corner, to help stir constructive conversation about issues that you face daily when trying to blog, whether that be emails that are persistently ignored for weeks on end (months on end, in some cases), tips on how to write the most tactful inquiries, how Netgalley/Edelweiss-platforms that are wonderful, though greatly flawed, can be improved to lessen the amount of stress there is associated with it, and the many puzzling, sometimes senseless guidelines publishers have for ARC requests. This is your chance to let your voice be heard, and we can discuss these things,in a way that will help encourage more constructive dialogue on how to bridge the communication gap between bloggers and the publishing era, to make it more enjoyable for both sides!! HURRY! HURRY!! The Archival date, on Netgalley, is forthcoming, yet your request for that much-anticpated ARC has inexplicably been dismissed, until it is relegated to the shadow realm of the “Archival Vault,” on Netgalley, a way for many bloggers to have their requests become mysteriously invalidated. 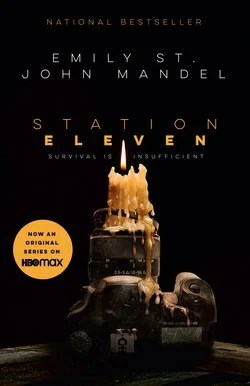 More than likely, most people that send requests for books like “Station Eleven” will not get acceptances, until it is too late.. Being a blogger can be a source of great joy,as you are privileged to receive to read certain books in advance of their slated release date. Other times, though, it can be a great source of vexation, especially with the interminable, snail-like pace that it curiously takes some publishers to accept your much-vaunted E-Galley request, which becomes invalid after the fated Archival Date. Understandably, many publishers want to contrive an end-date to being able to receive complimentary galleys for certain titles, though this archival date seems to curiously become a very convenient way for publishers to interestingly discriminate against a whole spate of bloggers, leaving a whole legion of bloggers without any acceptance for their galley requests until it is too late. Lately, Netgalley has been depriving me of any joy, lately, due to this endlessly frustrating endeavor just to get the elusive acceptance for your galley, until the Archival Vault door closes. Some publishers are much more attuned to the inner-workings of Netgalley, and are much less paranoid about the inadvertent theft of an E-Galley copies. Weirdly enough, they seem much more worried about the danger of theft in the E-galley world, then they are with physical ARCs. With the recent trend of Serial ARC sellers, on Ebay, much has not been done to curtail this nefarious practice of journalists getting ARCS, not for review, but for the easy luxury of making a killing off of rare advance-reader copies of highly anticipated, soon-to-be-released novels. For the last three or four weeks, I have quite honestly had the most joyless, enervating time trying to wait patiently,with a certain amount of noble forbearance, until the ARC for Station Eleven request for Netgalley was accepted. Days turned to weeks, and it is now only three days till the ARC slips into the shadows, or nethersphere, of the Archival Vault. Recently, this has been happening more and more with other bloggers I know, their requests are terminated, after five to six weeks, without any acceptance from publishers. Then, it slips away into the world of the Archival Vault. Even if you write a very persuasive inquiry about how you wish to do a tea feature, among many other things, your email will, more than likely, be tactfully ignored for that same span of weeks that you have been waiting for the Netgalley request to finally get the rare acceptance. To be fair, some publishers embrace Netgalley, while others seem to use it to sort of trick you into believing you’ll get an approval, until it is too late… It is not Netgalley that needs to undergo change, but it is time that the Archival Vault goes away because it is becoming a convenient way for publishers sometimes to do a wholesale denial for your request. **What is your take on the Archival Vault? Has the long window of time, you wait for a Netgalley acceptance, becoming increasingly more ridiculous? **Even though publisher’s security concerns are very much warranted, is there also a point, where these security concerns are disproportionately focused on E-Book concerns, more so than bound galleys. Again with the spate of so-many “Serial Ebay ARC sellers” (those who sell ARCS prior to Pub. Date for profit), I think there is a security oversight, in many ways. Hi Justin — As you know, it is up to each publisher to make their own approval decisions, which sometimes results in an inconsistent experience for an individual member. Publishers often have a large number of requests to manage, and especially for popular titles, their initial approval strategies may change. We work with our publishers closely to suggest best practices for approving and declining, and your feedback is actually very helpful, since occasionally we will share it with a publicist or marketer to help underscore the importance of managing requests quickly. When it comes to the Archive Date, we encourage publishers to process their pending requests as quickly as possible, especially so that the approval date doesn’t overlap with the Archive Date. We’ve added several application improvements over the last several months to minimize those situations where a title is approved and then immediately archived. Please bear in mind that above all else, publishers have a primary obligation to the author to successfully promote and sell their work, and are often contractually obligated to archive a title upon publication. We can guarantee that the vast majority of individuals working on NetGalley requests within a publishing house appreciate and recognize your contributions to the success of a title! Thank you so much again for leaving this very informative, well-worded comment, Tarah! !